If you wish to present a note of thanks to all the people including your friends, family and colleagues, who spared their valuable time to wish on your birthday, no matter whether in person, via a call or maybe on the social media platforms like Facebook, Twitter or WhatsApp then today we present you with some brilliant and unique ideas on how to say Thanks for Birthday wishes. instead you can also present some funny one liners or even an emotional one to make them feel how important they are to you. 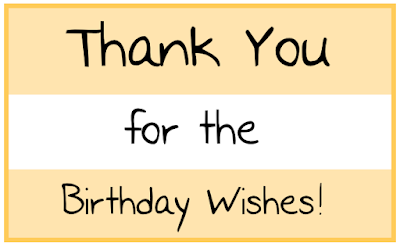 However, in case the birthday wish comes from your teachers, boss or an inspiration of yours, then it is indeed a good idea to stick with an official way of saying thanks. Nowadays as we have hundreds of friends, both offline and online, it is indeed hard to quickly find unique and perfect ways to say thanks for birthday wishes to each and every one of them. And to help you out in this, today we present you with some of the best ways by which you can say thanks for Birthday wishes in a perfect manner. Your words were the perfect embellishment on my birthday, your wishes have just blown me away. No matter how hard I try on my own, I will never be able to replicate the warmth you have shown. Thanks. Your beautiful wishes did something that no amount of money can buy – they made me believe in the value of friendship. Thanks. Just like how food remains tasteless without salt, my birthday celebrations would have been incomplete without your wishes. Thanks for being the SALT in my life. I was feeling terrible about turning a year older until I read your message which rid me of my blues. Now I feel that growing old is totally worth it, as long as it is with friends like you. Thanks. 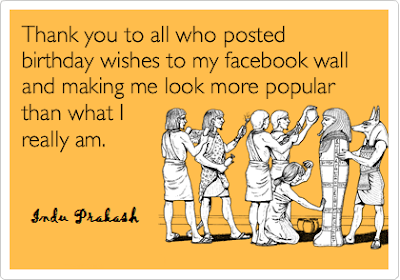 Funny Facebook status update: Thank you all for sending me such sweet birthday messages on Facebook. Why can’t you be so sweet to me all year around? Birthday gifts can get broken or lost, but your priceless words will remain close to my heart for eternity. Thanks. Thanks for your wishes, they were… funny, cute and charming. Exactly like you. 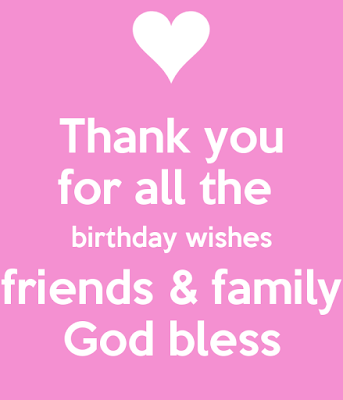 This tweet goes out to everyone who sent in their kind wishes on my birthday. Your sweet words lit up my life just like the sun’s rays. Thank you. If your birthday wish was written on the image of a cake and pinned on Pinterest, it would go viral because it is the cutest thing I’ve ever read. Thanks for being such a sweetheart. Had you not sent a text on my birthday unfailingly, I would have felt lonely even in the midst of friends and family. Thank you so much. Thanks for taking the time out to write such a sweet poem even in the day and age of cut-copy-paste. Your message is proof of the fact that life’s beautiful feelings are never truly cherished in haste. Found the above list containing different ways on how to say Thanks for Birthday wishes helpful? Well, in case you did, then do share this list with your friends and others to help them when their birthday arrives.